Altan And Dervish On Mountain Stage Altan and Dervish have been defining the sound of traditional Irish music for more than 20 years. Internationally respected, the globe-trotting groups each made a stop on West Virginia's most famous stage for a performance. 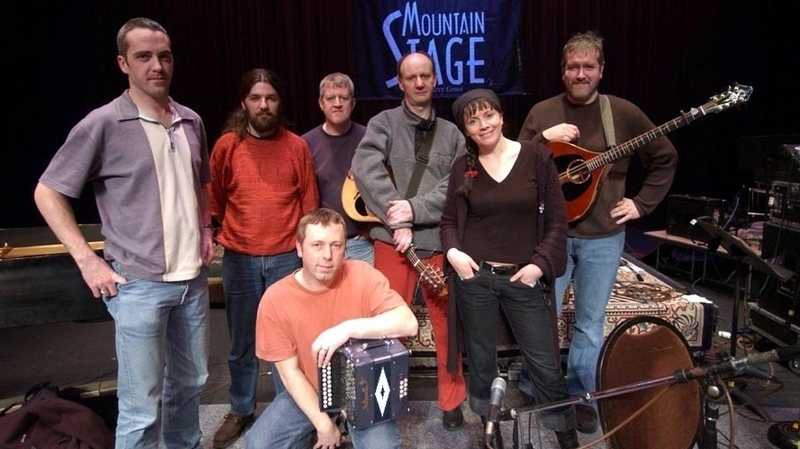 Dervish stop by West Virginia's most famous stage. "Father Jack/Boots of Spanish Leather"
Featuring the captivating voice of Mairéad Ní Mhaonaigh, Irish group Altan is celebrating its 25th anniversary. They gained international recognition after signing a major label deal in 1996, which lead to platinum album sales and tours throughout the world. The group is currently on a U.S. Tour that wraps up on March 20. Dervish formed in 1989, and singer Cathy Jordan joined in 1991. The group's debut, Harmony Hills, brought it great recognition, and its energetic, inventive performances helped Dervish develop a reputation as one of the best traditional Irish bands in the world. This performance, recorded in 2004, features the group's adept instrumentalists on the dancing medley "Father Jack/Boots of Spanish Leather." In 2010, the band celebrated its 21st year with concerts that each drew several thousand attendees.